Our company Telcentris, Inc. today announced that Rob Lewis, a former Qualcomm and Vivendi/Universal product guru, is our VP of Product Management. 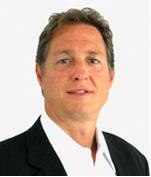 Rob will be overseeing strategy development for the company's products and services, including Voxox. Rob has more than 22 years experience in the high-tech industry, including positions in software development, marketing, and product management in both large and small organizations. We're looking forward to working with Rob on exciting new projects!